In today’s challenging economic times, financing for your comprehensive orthodontic treatment is more important than ever. At Maui Smile Works, we offer several different financial payment plans that make it easy for you to receive treatment and stay within your budget. We will review all the fees associated with treatment and the financial options available during your complimentary orthodontic consultation. We will try to find a down payment and monthly payment to fit comfortably in your budget. It is our goal to provide the highest quality of orthodontic treatment that is affordable to you and your family! If you have insurance, we will help you to determine the coverage you have available. We ask that you assign your insurance benefit to us. The balance will be arranged for you to pay (see above). We will help in every way we can in filing your claim and handling insurance questions from our office on your behalf. 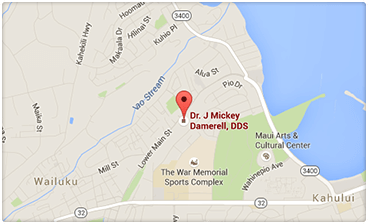 Call us at 808-244-1499 or email us at staff@mauismileworks.com. Please contact our practice for a FREE orthodontic consultation, and we will be glad to go over all of your financing options as well as answer any questions you may have.